Jelena Ostapenko won her first Grand Slam title at the age of 20 at the French Open. Get to know the young Latvian champion better. Simona Halep is targeting the World No 1 ranking in Saturday's French Open final but fast-rising Latvian upstart Jelena Ostapenko threatens to crash the Romanian's party as a first-time major champion will be crowned. 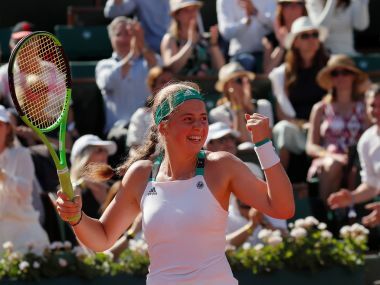 Jelena Ostapenko celebrated her 20th birthday on Thursday by becoming the first Latvian to reach a Grand Slam final after blasting past Switzerland's Timea Bacsinszky in three sets. 19-year-old Jelena Ostapenko downed Ukraine's Lesia Tsurenko 6-1, 6-4 on Friday at the French Open before admitting the dazzling, sultry Brazilian rhythms of the Samba are key to her success. 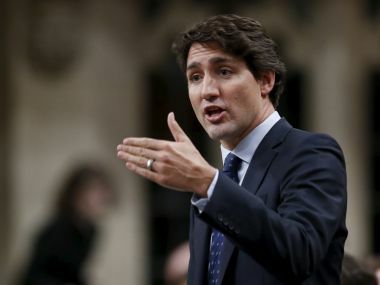 Riga: Canada said on Thursday it is open to meeting with the US to discuss revisions to their Nafta trade pact with Mexico, which US President Donald Trump has called a bad deal and vowed to renegotiate or scrap. By Robin Emmott | BRUSSELS BRUSSELS NATO will press allies on Wednesday to contribute to its biggest military build-up on Russia's borders since the Cold War as the alliance prepares for a protracted quarrel with Moscow.With Russia's aircraft carrier heading to Syria in a show of force along Europe's shores, alliance defence ministers aim to make good on a July promise by NATO leaders to send forces to the Baltic states and eastern Poland from early next year.The United States hopes for binding commitments from Europe to fill four battle groups of some 4,000 troops, part of NATO's response to Russia's 2014 annexation of Crimea and concern it could try a similar tactic in Europe's ex-Soviet states.France, Denmark, Italy and other allies are expected to join the four battle groups led by the United States, Germany, Britain and Canada to go to Poland, Lithuania, Estonia and Latvia, with forces ranging from armoured infantry to drones.NATO Secretary-General Jens Stoltenberg said the commitments would be "a clear demonstration of our transatlantic bond." Diplomats said it would also send a message to Republican presidential nominee Donald Trump, who has complained that European allies do not pay their way in the alliance.The battle groups will be backed by NATO's 40,000-strong rapid-reaction force, and if need be, further follow-on forces, for any potential conflict, which could move into Baltic states and Poland on rotation.The strategy is part of an emerging new deterrent that could eventually be combined with missile defences, air patrols and defences against cyber attacks. However, the alliance is still struggling for a similar strategy in the Black Sea region, which Turkish President Tayyip Erdogan has said is becoming a "Russian lake" because of Moscow's military presence there. Romania, Bulgaria and Turkey are expected to soon come forward with a plan to increase naval and air patrols in the area, as well as a multinational NATO brigade in Romania. 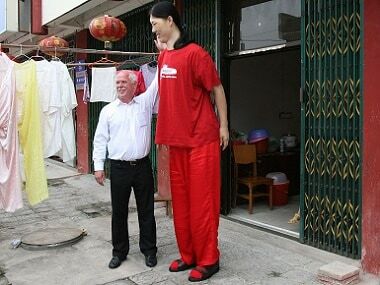 Americans, once among the world's tallest people, have dropped from having men and women at 3rd and 4th in the global height rankings to 37th and 42nd. WARSAW NATO leaders agreed on Friday to deploy military forces to the Baltic states and eastern Poland for the first time and increase air and sea patrols to reassure allies who were once part of the Soviet bloc following Russia's seizure of Crimea from Ukraine. The 28-nation Western defence alliance decided to move four battalions totalling 3,000 to 4,000 troops into northeastern Europe on a rotating basis to display its readiness to defend eastern members against any Russian aggression.